Davis Farm to School is a project of the nonprofit Davis Farmers Market Alliance. Good health begins with farm-fresh food. Since 2010, Davis Farmers Market has partnered with the nationally recognized Sutter Davis Hospital to promote healthy eating, local agriculture and farm-fresh food. In 2011, Davis Farmers Market opened Sutter Davis Hospital Farmers Market at the hospital entrance, Thursdays, 10 a.m. to 1 p.m., mid-May through October. Learn more about Sutter Davis Hospital. In February 2019, Davis Farmers Market opened the Sutter Medical Center Farmers Market in Sacramento. It’s open Thursdays, 4 to 7:30 p.m., at 2825 Capitol Ave., Sacramento. Learn more about Sutter Medical Center, Sacramento. Since 2010, the Davis Food Co-op has sponsored the music for our Picnic in the Park season, mid-March through October. Learn more about the Davis Food Co-op. 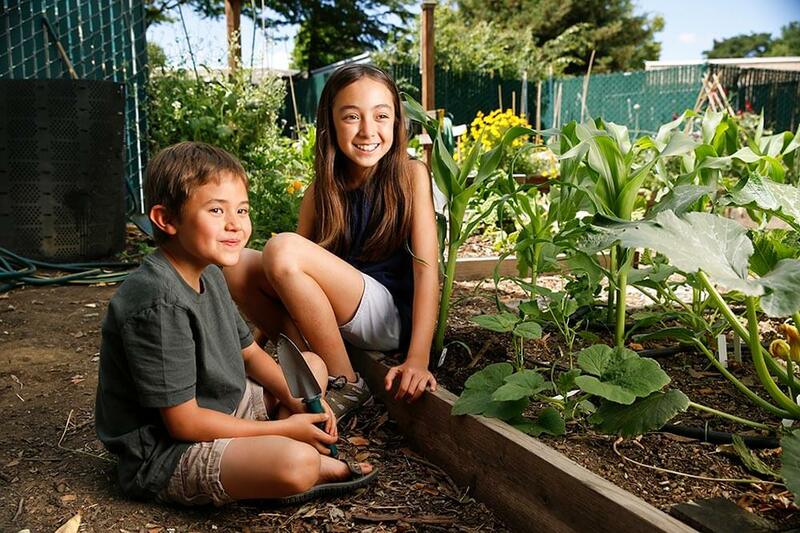 Founded in 2000, Davis Farm to School supports the Davis Joint Unified School District in its goals to provide farm and garden-based education, increase farm-fresh foods in school meals, and reduce solid waste through recycling and composting programs. Davis Farm to School is a project of the nonprofit Davis Farmers Market Alliance. Learn more about Davis Farm to School. Interested in selling your farm’s products, packaged goods or dinner at Picnic in the Park? Are you a crafter, musician or community activist? We have an app(lication) for that!